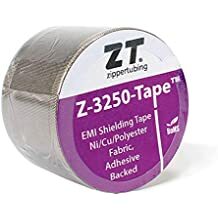 Rail - Industries - ZT | Zippertubing Co.
It’s your job to ensure safe, efficient, and effective rail stations and transport. Zippertubing® can help! The high- to low-speed rail industry faces many of the same challenges as the aerospace industry. Although a simple method of transportation, railway systems, in general, can be quite diverse and complex. The rail industry has many aspects of operation and maintenance, such as high-speed public transit, diesel engines hauling large amounts of cargo, light rail for urban transit, subway trains, monorail trains for airports or amusement parks, and many others. Additionally, engines, support vehicles, tracks, and depots, are just as important as the rail system and need to operate effectively. Rail stations are an essential system for people getting to and from their destination, as well as for transporting cargo. Therefore, stations must often be designed to interface well with other modes of transportation so they can be fully utilized. Furthermore, trains should be thoroughly tested and built with the highest quality, in order to reliably transport people and costly cargo from place to place. Just as an airliner must meet FAA requirements, trains must comply Federal Railroad Administration (FRA) requirements. The Zippertubing® Company carries proven solutions and raw materials to create custom applications that comply with those FRA requirements, as well as other specific needs to solve problems that occur in the rail transport system. Here are just some of the products we have related to the Rail industry! The Zippertubing® Company provides custom and proven solutions to the rail industry to meet FRA requirements for testing and application, and to resolve many other issues that may fall under the need for EMI shielding, cable management, thermal management, or wrap-around heat-shrink applications. Discover the possibilities of reliable, all-inclusive operation and maintenance solutions for the rail industry. It is necessary that rail systems operate efficiently and safely for all persons that maintain or use them. Similarly, freight stations must be designed and maintained to ensure the most efficient loading and unloading of cargo on long-haul trains. High-voltage cable protection for wires and cables in the power supply system. 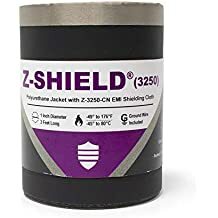 Tapered EMI shields and jacketing for in-line cable connections or splices. Crane festoon cable EMI shielding and protective jacketing. Durable and flexible cable shielding to meet high vibration requirements. Upgraded harness protection and EMI shielding for refurbishment or replacement. Wrap-around cable repair or protection that is field installable.